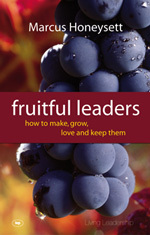 Evidently, the main qualification for leaders is character. In each of these lists we also find mention of ability to teach. I've been taught many times that this is about skill in ministry. Which tends to mean ability to do basic grammar and speak understandably. I don't doubt those things are useful. But, what if 'able to teach' is another character trait? What if 'rightly handling' isn't so much about grammar and more about teaching with kindness and patience and without quarrelling and arrogance (as the 2 Timothy 2 context would seem to say)? What if the ability to 'give instruction' really is the 'so that' of holding firmly to the trustworthy word - which must include being transformed by it. What if when we train young men and women to lead we put everything into character, by developing Biblical convictions in the heart that should overflow into life? A generation who so tremble at the word of Jesus that they dare not misunderstand lest they misapply and so defame the glory of God. What if when we trained young student leaders (and other leaders) to do Bible study we weren't only concerned for accuracy, good questions and methodology, but chiefly for them to believe the (rightly-understood, thoroughly-exegeted) gospel afresh. And so to teach what they believe. Would they not then burn with the gospel as they lead? Would they not then, as gospel-believing repentant sinnners be able to lead the small group of forgiven sinners around them into mission together?